Looking for a fun and engaging small group, whole group or partner activity to teach number recognition? 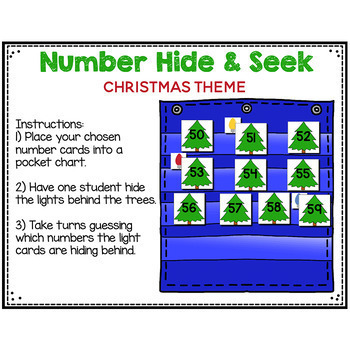 This Christmas themed number hide and seek pocket chart game is the perfect way to work on number recognition in preschool, Pre-k, and kindergarten. Perfect for any time of the year! 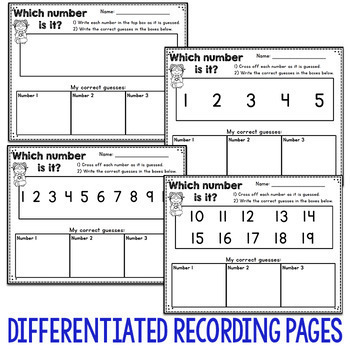 Covering all numbers from 0-120, this is great for differentiating. 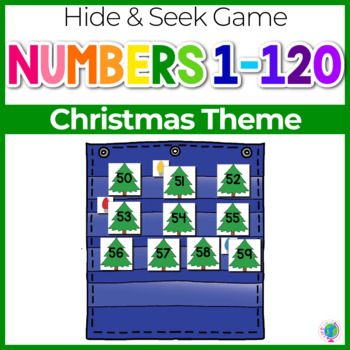 The Christmas Theme Number Hide and Seek Pocket Chart Cards are also included in the Numbers 0-120 Hide and Seek Pocket Chart Cards ENDLESS Bundle. One student will hide the lights behind the Christmas Tree and the other students will take turns guessing where the lights are hiding. 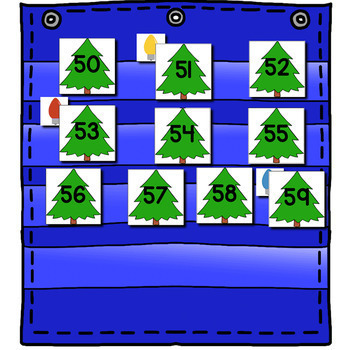 Have the students (or one student if working in pairs) close their eyes while one person hides 1-8 light cards behind the Christmas Trees. Students then take turns guessing which number the light cards are hiding behind.